In order to be able to carry-out the duty of a fire warden, the fire warden needs to be prepared. 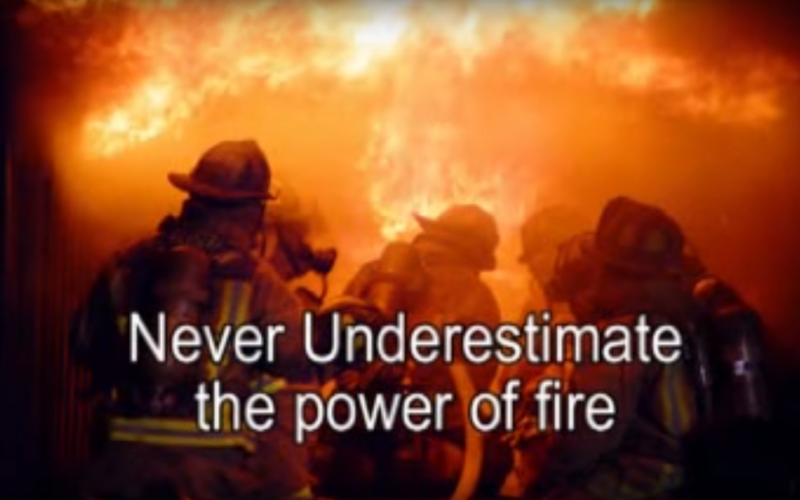 Training is not always enough to complete your vital role as a fire warden. 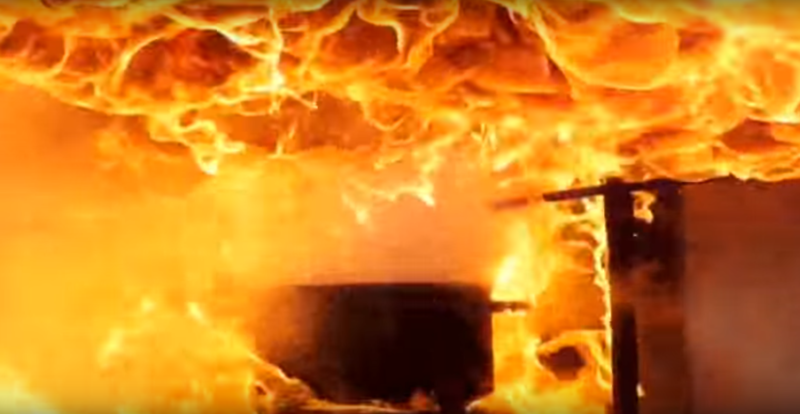 It is therefore essential you equip yourselves with the necessary tools to enable you to carry-out your vital fire & safety role effectively to comply with the Regulatory Reform (Fire) (Safety) Order 2005. 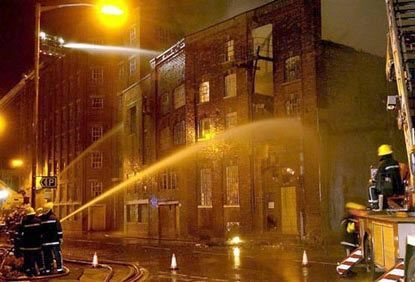 Fire wardens are responsible for ensuring an suitable and safe evacuation of the premises, as well as maintaining life fire safety within the workplace. 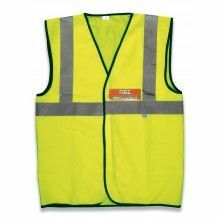 It is a legal requirement for fire wardens to be prominently recognisable to both staff and the emergency services in the event of an emergency. The tools below will help alleviate the major responsibilities placed on your shoulders. They will also assist you in compliance to the Health & Safety At Work Regulations 1999. 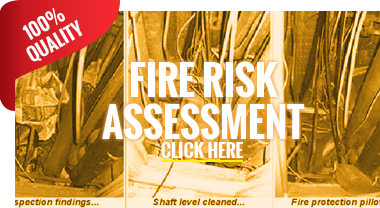 Below are the common types of fire & safety equipment usually identified as required within fire & health & safety risk assessments. 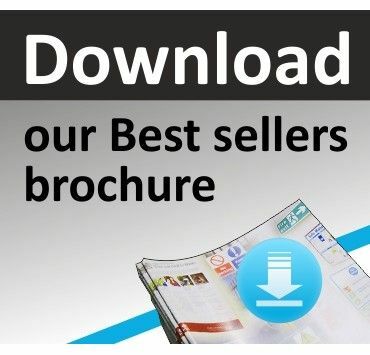 If it's not listed below, we will probably have it in our brochure. If you need any help, please call our friendly team on: 0800 999 8595. 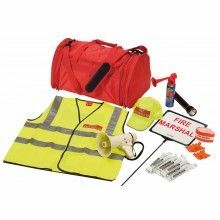 This premium fire warden kit contains everything a fire warden or fire marshal should need to carry out their responsibility. 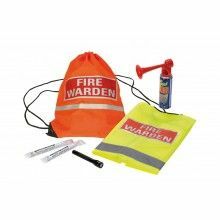 This economy fire warden kit carries the bare essentials required for a fire warden. It is packaged in a high visibility drawstring bag with a reflective strip. 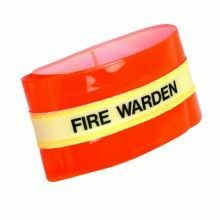 This reflective photoluminescent fire warden armband is a really useful item for fire wardens when coordinating evacuation procedures. 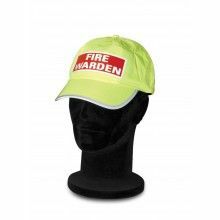 High visibility baseball caps are a good way to enable fire wardens to be identified in crowded conditions. 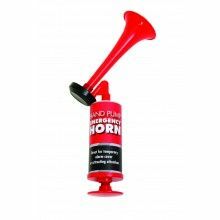 The pump action horn can be used to provide temporary cover during alarm installations and on building sites. 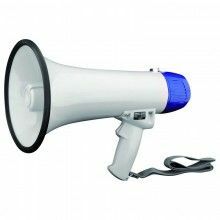 Megaphones are largely used on sites where there is a likelihood of large crowds such as pubs, clubs, office blocks, museums, schools etc. 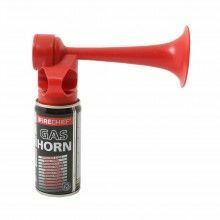 This gas horn has an aerosol that is free of hydro fluorocarbon gases. Use of aerosols containing these gases has been terminated by EU 517-2014 due to the Global Warming Potential (GWP). 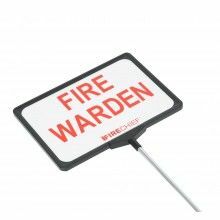 Telescopic fire warden signs are used by fire wardens to signal their position when in a crowded area. 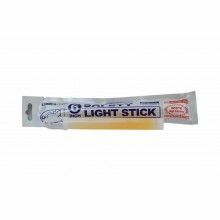 Emergency lightsticks are a great light source in emergency situations. Our emergency lightsticks last an impressive 30 minutes. 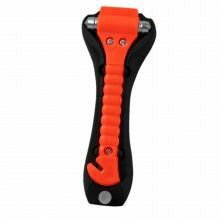 The emergency hammer is a common and effective emergency escape tool. Used mostly in cars, coaches and buses. 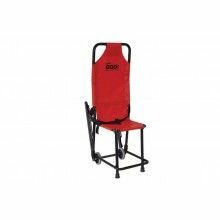 This quick and easy to use, proven evacuation chair 'the eGO! chair' has been manufactured and tested to the highest standards. 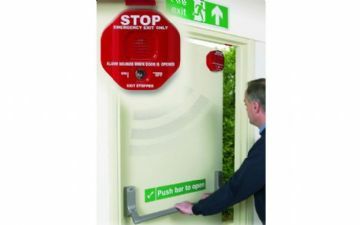 This exit stopper door alarm can be easily fixed to a fire door to prevent unauthorised use. 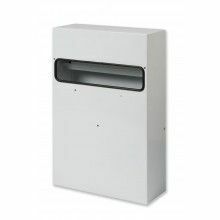 Designed to suit standard sized British letterbox openings, this Letterguard box fits to the back of the door and has an automatic extinguisher in the top. 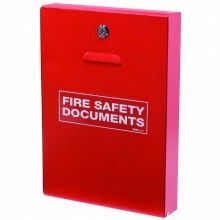 The slimline design of this metal document holder takes up a lot less room for fire safety document storage. Comes with lock and key. 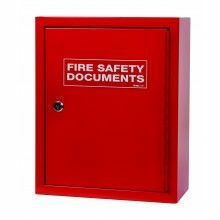 This metal cabinet has a key lock operation which gives an added level of protection to important fire safety documents. 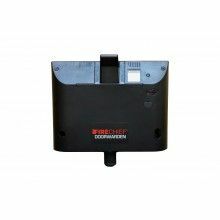 A wireless fire door stop which legally holds open a fire door until the fire alarm sounds. Fully compliant with BSEN 1155 and accepted by UK Fire Brigades. 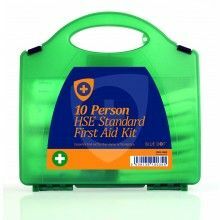 This 10 person premium first aid kit has a superior outer casing. The box has an integrated carrying handle and a secure airtight lid which provides protection from dust and water. Proven to be the easiest AED on the market. 8 years manufacturers warranty. Free software upgrades. Tested to military standards. Always rescue ready. Complete with full user manual.